A family butcher’s trusting nature has been “absolutely battered” after thieves ransacked his shop. Burglars raided Haggarts in Low Lane, Birstall, between 2.30am and 5.30am on Sunday morning. 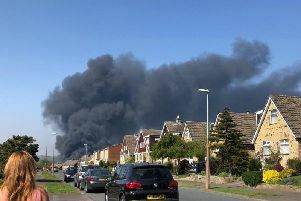 Owner Dean Worsnop, 34, of Leeds, said: “I came to work at 5.40am and found both of my front and back top windows open. I came inside and there was stuff scattered everywhere, all my fridges were open and things turned upside down. The father-of-five, who has had his shop in Birstall about three years of his 20-year career in the industry, said he works 70 hours a week to provide for his family. “I trust everybody. That trust has now been absolutely battered and I’m suspicious of everybody,” he said. Dean believes he was targeted specifically, because a security camera at the nearby Fashion Workroom shop was smashed from above that night. He also thinks the culprits used ladders to get in through a top window. Mr Worsnop forgot to turn his clocks forward the previous night and got up later than expected on Sunday. If he had not, he thinks he may have been able to stop the thieves. “If anybody has seen anyone between 4.30am and 5am with a ladder, do get in touch with police,” Dean said. Call the Batley and Spen NPT on 101 with information.